When I started making cheese in 2002, my friends immediately started asking if they could buy it. When I called my state department of agriculture to learn the requirements, I was quickly overwhelmed and gave up on the idea as soon as the woman on the phone mentioned $15,000 as the starting price for a pasteurizer. Because I was only milking one goat at the time, there was no way that would have been a viable business. If you’ve been thinking of starting a farmstead creamery, though, you should check out Gianaclis Caldwell’s book, The Small Scale Cheese Business (originally published as The Farmstead Creamery Advisor). In addition to running her own successful small scale cheese business, Gianaclis interviewed the owners of two dozen farmstead creameries. The book starts with things to consider before deciding to start your business, followed with a chapter on costs and financing. There is an excellent section on designing the farmstead creamery, which includes details on the milking parlor, milkhouse, cheese making room, aging room, caves, and other rooms. In Part IV, Long-Term Survival Guide, she has a chapter on safety and why “It hasn’t killed anyone yet” isn’t good enough. It also includes suggestions for other income streams, such as classes, agritourism, and other products like fudge, caramel, milk, soap, and meat. The appendices are especially helpful, as she includes four different floor plans for creameries of different sizes. The resource list is extensive, and the book also includes information about cheese quality tests and a sample milk purchase agreement. The book is filled with dozens of color photographs of different creameries, as well as tables filled with information, making it easier to digest. If you are thinking of starting a small scale cheese business, I would recommend reading this book cover to cover. This would be a wonderful book! I have been considering this but didn’t know where to even begin! 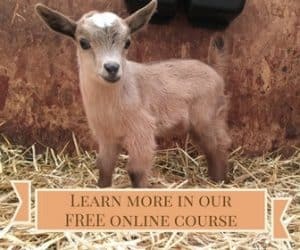 Just getting started with goats and would love some insight into a possible source of income. I would love to win this book. Cheesemaking on a small scale is becoming a dying art. There are no mentors here to ask for advice. A solid reference book would be a great start in bringing back this once common way of making our own food. 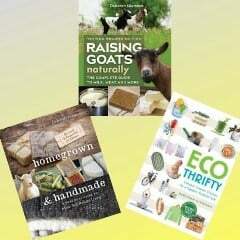 As a newbie with milk goats, this book would be great! I want to try my hand at making cheese but have no idea what to do. Wow! What a great resource to have as I continue my journey to become an artisan cheese maker. Started making goat cheese for my family 33 years ago. I’ve had dairy goats for 9 years, I’m a youth and I’m interested in learning about cheeses. I’ve made the basic Mozzarella, ricotta, and cottage cheeses, but I’m interested in making some aged cheeses. I’ve been looking for a really good cheesemaking book, and this really interests me! I have just started my new herd of Registered Nubians. I have dreamed of being a dairyman since I was old enough to know what it meant! It’s my goal to begin making cheese, soap and other great products to use, as well as share with my family and friends. This book seems chock-full of great information and resources. Even if I don’t win the complementary copy. I’ll have to add this one to the bookshelf!